Odometer is 21750 miles below market average! CVT with Xtronic, charcoal Cloth, 16" x 6.5" Steel Wheels w/Wheel Covers, Brake assist, Delay-off headlights, Exterior Parking Camera Rear, Fully automatic headlights, Illuminated entry, Low tire pressure warning, Outside temperature display, Power door mirrors, Radio data system, Radio: AM/FM/CD Aux-In Audio System, Remote keyless entry, Speed control, Steering wheel mounted audio controls, Telescoping steering wheel. Clean CARFAX.You are the reason we are here and have been for 62 years! We have a HUGE selection of inventory and Customer Service is top priority.... Bad credit or bad luck we are here to help. We speak your language Spanish, Vietnamese, Arabic, Bangladesh, Urdu including Chinese! Easy to access right off 183 and 121 minutes away from anywhere in DFW! Call or come by and find out why we are the fastest growing Nissan store in the Metroplex today!Certified. Fresh Powder 2018 Nissan Sentra S FWD CVT with Xtronic 1.8L 4-Cylinder DOHC 16VNissan Certified Pre-Owned Details: * Roadside Assistance * Vehicle History * Warranty Deductible: $50 * Transferable Warranty (between private parties) * Includes Car Rental and Trip Interruption Reimbursement * 167 Point Inspection * Limited Warranty: 84 Month/100,000 Mile (whichever comes first) from original in-service dateWe will give you a Service Report of what we did to ANY used vehicle for your peace of mind! Grubbs Nissan in Bedford Texas serving Dallas, Arlington, Fort Worth, Grapevine and Colleyville TX. Since opening our doors, Grubbs Pre-Owned offers a wide selection of New, Used and Certified vehicles, and hope to make the car buying process as quick and hassle free as possible. If you would like Competitive financing options and you are in the market to purchase a new Nissan or used car, truck or SUV we will provide assistance to help you find financing options that fits your needs! Whether or not you have bad credit, no credit, or are a first time car buyer we are here for you! www.grubbsnissan.com. Recent Arrival! CVT with Xtronic.You are the reason we are here and have been for 62 years! We have a HUGE selection of inventory and Customer Service is top priority.... Bad credit or bad luck we are here to help. We speak your language Spanish, Vietnamese, Arabic, Bangladesh, Urdu including Chinese! Easy to access right off 183 and 121 minutes away from anywhere in DFW! Call or come by and find out why we are the fastest growing Nissan store in the Metroplex today!Black 2012 Nissan Altima 2.5 S FWD CVT with Xtronic 2.5L 4-Cylinder SMPI DOHC 23/32 City/Highway MPGWe will give you a Service Report of what we did to ANY used vehicle for your peace of mind! Grubbs Nissan in Bedford Texas serving Dallas, Arlington, Fort Worth, Grapevine and Colleyville TX. Since opening our doors, Grubbs Pre-Owned offers a wide selection of New, Used and Certified vehicles, and hope to make the car buying process as quick and hassle free as possible. If you would like Competitive financing options and you are in the market to purchase a new Nissan or used car, truck or SUV we will provide assistance to help you find financing options that fits your needs! Whether or not you have bad credit, no credit, or are a first time car buyer we are here for you! www.grubbsnissan.com. Finance for $99 per month at 3.9% APR for 72 months with $700 down payment. Payment expires on 04/30/19. Estimated Finance payment based upon 3.9% APR for 72 months, with a down payment of $700. Excludes title, taxes, registration, and license fees. Some customers will not qualify. See your authorized dealer for complete details on this and other offers. Residency restrictions may apply. Recent Arrival! Clean CARFAX. Clean Carfax, Local Trade, Bose upgraded audio, Power seats, Power windows and locks, Memory Seats, Heated Seats, Sunroof, Leather, Allow Wheels, Bluetooth handsfree, Willow w/Leather-Appointed Seat Trim, Automatic On/Off Headlights, Black Roof Rails, Bose Audio System, Cargo Cover, Cargo Net, Heated Front Seats, Heated Outside Mirrors, HomeLink Wireless Control System, Leather-Appointed Seat Trim, Memory System, Power Driver Adjustable Lumbar Support, Power Sliding/Tilt Glass Sunroof, Power Tilt & Telescopic Steering Wheel, Touring Package. This vehicle is equipped with: Touring Package (Automatic On/Off Headlights, Black Roof Rails, Bose Audio System, Cargo Cover, Cargo Net, Heated Front Seats, Heated Outside Mirrors, HomeLink Wireless Control System, Leather-Appointed Seat Trim, Memory System, Power Driver Adjustable Lumbar Support, Power Sliding/Tilt Glass Sunroof, and Power Tilt & Telescopic Steering Wheel), Willow w/Leather-Appointed Seat Trim, 3.692 Axle Ratio, 4-Wheel Disc Brakes, 4-Wheel Independent Suspension, 6 Speakers, ABS brakes, Air Conditioning, Alloy wheels, AM/FM radio, AM/FM/Cassette & In-Dash 6-Disc CD, Anti-whiplash front head restraints, Auto-dimming Rear-View mirror, Automatic temperature control, Block heater, Brake assist, Bumpers: body-color, Cassette, CD player, Compass, Driver door bin, Driver vanity mirror, Dual front impact airbags, Dual front side impact airbags, Electronic Stability Control, Fog lights, Four wheel independent suspension, Front anti-roll bar, Front Bucket Seats, Front Center Armrest w/Storage, Front dual zone A/C, Front reading lights, High-Intensity Discharge Headlights, Illuminated entry, Leather Shift Knob, Low tire pressure warning, Outside temperature display, Overhead airbag, Overhead console, Panic alarm, Passenger door bin, Passenger vanity mirror, Power door mirrors, Power driver seat, Power passenger seat, Power steering, Power windows, Premium Cloth Seat Trim, Radio data system, Rear reading lights, Rear seat center armrest, Rear window defroster, Rear window wiper, Remote keyless entry, Security system, Speed control, Speed-sensing steering, Speed-Sensitive Wipers, Split folding rear seat, Spoiler, Tachometer, Telescoping steering wheel, Tilt steering wheel, Traction control, Trip computer, and Variably intermittent wipers. Finance for $106 per month at 3.9% APR for 72 months with $750 down payment. Payment expires on 04/30/19. Estimated Finance payment based upon 3.9% APR for 72 months, with a down payment of $750. Excludes title, taxes, registration, and license fees. Some customers will not qualify. See your authorized dealer for complete details on this and other offers. Residency restrictions may apply. Recent Arrival! Odometer is 15020 miles below market average! 4-Speed Automatic with Overdrive. Clean CARFAX.You are the reason we are here and have been for 62 years! We have a HUGE selection of inventory and Customer Service is top priority.... Bad credit or bad luck we are here to help. We speak your language Spanish, Vietnamese, Arabic, Bangladesh, Urdu including Chinese! Easy to access right off 183 and 121 minutes away from anywhere in DFW! Call or come by and find out why we are the fastest growing Nissan store in the Metroplex today!Black 2004 Toyota Sequoia SR5 RWD 4-Speed Automatic with Overdrive 4.7L V8 SMPI DOHCWe will give you a Service Report of what we did to ANY used vehicle for your peace of mind! Grubbs Nissan in Bedford Texas serving Dallas, Arlington, Fort Worth, Grapevine and Colleyville TX. Since opening our doors, Grubbs Pre-Owned offers a wide selection of New, Used and Certified vehicles, and hope to make the car buying process as quick and hassle free as possible. If you would like Competitive financing options and you are in the market to purchase a new Nissan or used car, truck or SUV we will provide assistance to help you find financing options that fits your needs! Whether or not you have bad credit, no credit, or are a first time car buyer we are here for you! www.grubbsnissan.com. Brake assist, Compass, Delay-off headlights, Front fog lights, Fully automatic headlights, Illuminated entry, Low tire pressure warning, Navigation System, Power driver seat, Premium Cloth Seats, Radio data system, Radio: Uconnect 8.4 CD/MP3, Remote CD player, Remote keyless entry, Speed control, Steering wheel mounted audio controls, Telescoping steering wheel, Turn signal indicator mirrors. Clean CARFAX.You are the reason we are here and have been for 62 years! We have a HUGE selection of inventory and Customer Service is top priority.... Bad credit or bad luck we are here to help. We speak your language Spanish, Vietnamese, Arabic, Bangladesh, Urdu including Chinese! Easy to access right off 183 and 121 minutes away from anywhere in DFW! Call or come by and find out why we are the fastest growing Nissan store in the Metroplex today!Tungsten Metallic 2013 Dodge Dart Limited/GT FWD 6-Speed Manual 1.4L I4 16V MultiAir Turbocharged 27/39 City/Highway MPGWe will give you a Service Report of what we did to ANY used vehicle for your peace of mind! Grubbs Nissan in Bedford Texas serving Dallas, Arlington, Fort Worth, Grapevine and Colleyville TX. Since opening our doors, Grubbs Pre-Owned offers a wide selection of New, Used and Certified vehicles, and hope to make the car buying process as quick and hassle free as possible. If you would like Competitive financing options and you are in the market to purchase a new Nissan or used car, truck or SUV we will provide assistance to help you find financing options that fits your needs! Whether or not you have bad credit, no credit, or are a first time car buyer we are here for you! www.grubbsnissan.com. 160 Point Safety Inspection. Vehicle is equipped with: 16" x 6.5" Steel Wheels w/Full Covers, 4 Speakers, 4-Wheel Disc Brakes, 6.120 Axle Ratio, ABS brakes, Air Conditioning, AM/FM radio, AM/FM/CD Audio System, Anti-whiplash front head restraints, Brake assist, Bumpers: body-color, CD player, Cloth Seat Trim, Driver door bin, Dual front impact airbags, Dual front side impact airbags, Electronic Stability Control, Four wheel independent suspension, Front anti-roll bar, Front Bucket Seats, Front Center Armrest, Front reading lights, Illuminated entry, Low tire pressure warning, Occupant sensing airbag, Overhead airbag, Overhead console, Panic alarm, Passenger door bin, Power door mirrors, Power steering, Power windows, Rear anti-roll bar, Rear window defroster, Rear window wiper, Remote keyless entry, Security system, Speed control, Speed-sensing steering, Split folding rear seat, Tachometer, Tilt steering wheel, Traction control, and Variably intermittent wipers.The Grubbs Family of Dealerships was established in 1948 as a family-owned and operated automotive business, a tradition that continues to this day. The Grubbs name is synonymous with a tradition of excellence, superior service, and integrity. The founding members of the Grubbs family believed that, while anyone could sell a car, to make a dealership stand above the rest, it had to completely satisfy the customer's every need. The expert team at INFINITI of Hanover is committed to caring for your vehicle for as long as you own it. We have state-of-the-art service facilities and use the latest diagnostics to maintain and repair your INFINITI at a competitive price. We offer many convenient amenities such as Express Service to make your visit with us pleasurable. We use only genuine INFINITI parts, so you can be sure your vehicle will perform as well as the day you got it. This "customer first" philosophy would be passed down for generations to come, and you can see it firsthand at any of the Grubbs dealership locations in Texas and in Hanover MA. www.infinitiofhanover.com. Recent Arrival! AWD. Clean CARFAX.You are the reason we are here and have been for 62 years! We have a HUGE selection of inventory and Customer Service is top priority.... Bad credit or bad luck we are here to help. We speak your language Spanish, Vietnamese, Arabic, Bangladesh, Urdu including Chinese! Easy to access right off 183 and 121 minutes away from anywhere in DFW! Call or come by and find out why we are the fastest growing Nissan store in the Metroplex today!Platinum Graphite 2012 Nissan Rogue S AWD CVT 2.5L I4 DOHC 16V 22/26 City/Highway MPGWe will give you a Service Report of what we did to ANY used vehicle for your peace of mind! Grubbs Nissan in Bedford Texas serving Dallas, Arlington, Fort Worth, Grapevine and Colleyville TX. Since opening our doors, Grubbs Pre-Owned offers a wide selection of New, Used and Certified vehicles, and hope to make the car buying process as quick and hassle free as possible. If you would like Competitive financing options and you are in the market to purchase a new Nissan or used car, truck or SUV we will provide assistance to help you find financing options that fits your needs! Whether or not you have bad credit, no credit, or are a first time car buyer we are here for you! www.grubbsnissan.com. Finance for $120 per month at 3.9% APR for 72 months with $850 down payment. Payment expires on 04/30/19. Estimated Finance payment based upon 3.9% APR for 72 months, with a down payment of $850. Excludes title, taxes, registration, and license fees. Some customers will not qualify. See your authorized dealer for complete details on this and other offers. Residency restrictions may apply. Recent Arrival! Ash w/Fabric Seat Trim.You are the reason we are here and have been for 62 years! We have a HUGE selection of inventory and Customer Service is top priority.... Bad credit or bad luck we are here to help. We speak your language Spanish, Vietnamese, Arabic, Bangladesh, Urdu including Chinese! Easy to access right off 183 and 121 minutes away from anywhere in DFW! Call or come by and find out why we are the fastest growing Nissan store in the Metroplex today!Black 2010 Toyota RAV4 FWD 4-Speed Automatic 2.5L 4-Cylinder DOHC 22/28 City/Highway MPG CARFAX One-Owner.We will give you a Service Report of what we did to ANY used vehicle for your peace of mind! Grubbs Nissan in Bedford Texas serving Dallas, Arlington, Fort Worth, Grapevine and Colleyville TX. Since opening our doors, Grubbs Pre-Owned offers a wide selection of New, Used and Certified vehicles, and hope to make the car buying process as quick and hassle free as possible. If you would like Competitive financing options and you are in the market to purchase a new Nissan or used car, truck or SUV we will provide assistance to help you find financing options that fits your needs! Whether or not you have bad credit, no credit, or are a first time car buyer we are here for you! www.grubbsnissan.com. Odometer is 26267 miles below market average! CVT with Xtronic, charcoal Cloth, 16" Steel Wheels w/Full Wheel Covers, AM/FM/CD Audio System, Brake assist, Front Bucket Seats, Illuminated entry, Low tire pressure warning, MP3 decoder, Outside temperature display, Power door mirrors, Radio data system, Remote keyless entry, Speed control, Steering wheel mounted audio controls, Telescoping steering wheel.You are the reason we are here and have been for 62 years! We have a HUGE selection of inventory and Customer Service is top priority.... Bad credit or bad luck we are here to help. We speak your language Spanish, Vietnamese, Arabic, Bangladesh, Urdu including Chinese! Easy to access right off 183 and 121 minutes away from anywhere in DFW! 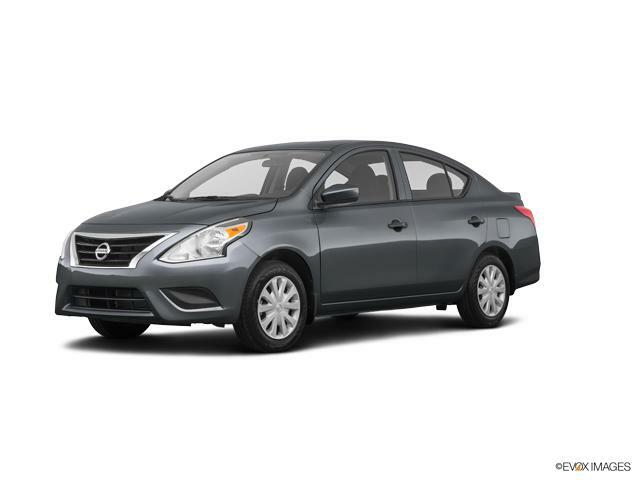 Call or come by and find out why we are the fastest growing Nissan store in the Metroplex today!Brilliant Silver 2014 Nissan Sentra SV FWD CVT with Xtronic 1.8L 4-Cylinder DOHC 16V 30/39 City/Highway MPGWe will give you a Service Report of what we did to ANY used vehicle for your peace of mind! Grubbs Nissan in Bedford Texas serving Dallas, Arlington, Fort Worth, Grapevine and Colleyville TX. Since opening our doors, Grubbs Pre-Owned offers a wide selection of New, Used and Certified vehicles, and hope to make the car buying process as quick and hassle free as possible. If you would like Competitive financing options and you are in the market to purchase a new Nissan or used car, truck or SUV we will provide assistance to help you find financing options that fits your needs! Whether or not you have bad credit, no credit, or are a first time car buyer we are here for you! www.grubbsnissan.com. Odometer is 8146 miles below market average! AWD.You are the reason we are here and have been for 62 years! We have a HUGE selection of inventory and Customer Service is top priority.... Bad credit or bad luck we are here to help. We speak your language Spanish, Vietnamese, Arabic, Bangladesh, Urdu including Chinese! Easy to access right off 183 and 121 minutes away from anywhere in DFW! Call or come by and find out why we are the fastest growing Nissan store in the Metroplex today!Blue 2009 Honda CR-V EX AWD 5-Speed Automatic 2.4L I4 DOHC 16V i-VTEC 20/26 City/Highway MPGWe will give you a Service Report of what we did to ANY used vehicle for your peace of mind! Grubbs Nissan in Bedford Texas serving Dallas, Arlington, Fort Worth, Grapevine and Colleyville TX. Since opening our doors, Grubbs Pre-Owned offers a wide selection of New, Used and Certified vehicles, and hope to make the car buying process as quick and hassle free as possible. If you would like Competitive financing options and you are in the market to purchase a new Nissan or used car, truck or SUV we will provide assistance to help you find financing options that fits your needs! Whether or not you have bad credit, no credit, or are a first time car buyer we are here for you! www.grubbsnissan.com. Clean CARFAX. CARFAX One-Owner. This Vehicle is equipped with: 16" Wheels w/Full-Wheel Bolt-On Covers, 4-Wheel Disc Brakes, 6 Speakers, ABS brakes, Air Conditioning, AM/FM radio, AM/FM/CD Radio, Anti-whiplash front head restraints, Bodyside moldings, Brake assist, Bumpers: body-color, CD player, Cloth Seat Trim, Delay-off headlights, Driver door bin, Driver vanity mirror, Dual front impact airbags, Dual front side impact airbags, Electronic Stability Control, Four wheel independent suspension, Front anti-roll bar, Front Bucket Seats, Front Center Armrest w/Storage, Front reading lights, Illuminated entry, Low tire pressure warning, Multi-Adjustable Reclining Front Bucket Seats, Occupant sensing airbag, Outside temperature display, Overhead airbag, Overhead console, Panic alarm, Passenger door bin, Passenger vanity mirror, Power door mirrors, Power steering, Power windows, Rear anti-roll bar, Rear reading lights, Rear seat center armrest, Rear window defroster, Remote keyless entry, Security system, Speed control, Speed-sensing steering, Speed-Sensitive Wipers, Split folding rear seat, Tachometer, Telescoping steering wheel, Tilt steering wheel, Traction control, Trip computer, and Variably intermittent wipers.Odometer is 51907 miles below market average!2010 Sand Metallic Nissan Altima 2.5 S 2.5L 4-Cylinder SMPI DOHC CVT with XtronicContact us now to find out why so many customers from across the US rely on INFINITI of San Antonio, a family owned business since 1948, to meet their automotive needs!Outside of San Antonio area, no problem, we offer: Reliable, affordable and fast shipping options - Our shipping partners are licensed, bonded, fully insured & experienced with high-end vehicles.Hassle free and competitive financing options - Let us leverage our relationships with leading Banks & Credit Unions to get you the lowest rates and best terms for all credit types.Whether you're shopping for a new INFINITI or a quality used pre-owned vehicle you'll receive the same first-class experience from our certified staff of factory trained specialists.Call us today or visit us at www.infinitiofsanantonio.com. Recent Arrival! Clean CARFAX. This Vehicle is equipped with: 17" x 7.5J Aluminum Alloy Wheels, 4-Wheel Disc Brakes, 6 Speakers, ABS brakes, Air Conditioning, AM/FM radio: XM, AM/FM/6-Disc In Dash CD w/MP3/WMA Playback, Anti-whiplash front head restraints, Automatic temperature control, Brake assist, Bumpers: body-color, CD player, Delay-off headlights, Driver door bin, Driver vanity mirror, Dual front impact airbags, Dual front side impact airbags, Electronic Stability Control, Four wheel independent suspension, Front anti-roll bar, Front Bucket Seats, Front Center Armrest, Front dual zone A/C, Front fog lights, Front reading lights, Fully automatic headlights, Heated door mirrors, Heated Front Bucket Seats, Heated front seats, High intensity discharge headlights: Bi-Xenon, Illuminated entry, Leather Appointed Seat Trim, Leather Shift Knob, Leather steering wheel, Low tire pressure warning, MP3 decoder, Occupant sensing airbag, Outside temperature display, Overhead airbag, Overhead console, Panic alarm, Passenger door bin, Passenger vanity mirror, Power door mirrors, Power driver seat, Power passenger seat, Power steering, Power windows, Radio data system, Rear anti-roll bar, Rear reading lights, Rear seat center armrest, Rear window defroster, Remote keyless entry, Security system, Speed control, Speed-sensing steering, Speed-Sensitive Wipers, Steering wheel mounted audio controls, Tachometer, Telescoping steering wheel, Tilt steering wheel, Traction control, Trip computer, and Variably intermittent wipers.Odometer is 15240 miles below market average!2009 Platinum Graphite INFINITI G37 X 3.7L V6 DOHC 24V 7-Speed Automatic ElectronicContact us now to find out why so many customers from across the US rely on INFINITI of San Antonio, a family owned business since 1948, to meet their automotive needs!Outside of San Antonio area, no problem, we offer: Reliable, affordable and fast shipping options - Our shipping partners are licensed, bonded, fully insured & experienced with high-end vehicles.Hassle free and competitive financing options - Let us leverage our relationships with leading Banks & Credit Unions to get you the lowest rates and best terms for all credit types.Whether you're shopping for a new INFINITI or a quality used pre-owned vehicle you'll receive the same first-class experience from our certified staff of factory trained specialists.Call us today or visit us at www.infinitiofsanantonio.com. Finance for $134 per month at 3.9% APR for 72 months with $950 down payment. Payment expires on 04/30/19. Estimated Finance payment based upon 3.9% APR for 72 months, with a down payment of $950. Excludes title, taxes, registration, and license fees. Some customers will not qualify. See your authorized dealer for complete details on this and other offers. Residency restrictions may apply. Recent Arrival! New Price! Clean CARFAX. Beige w/Woven Cloth Seat Trim, ABS brakes, Electronic Stability Control, Heated door mirrors, Low tire pressure warning, Power Door Locks w/Remote Keyless Entry, Power Package, Power Windows, Traction control. This vehicle is equipped with: Power Package (Power Door Locks w/Remote Keyless Entry and Power Windows), Beige w/Woven Cloth Seat Trim, ABS brakes, Electronic Stability Control, Heated door mirrors, Low tire pressure warning, Traction control, 15" x 5.5j Steel Wheels w/Full Covers, 4 Speakers, 4-Wheel Disc Brakes, Air Conditioning, AM/FM radio: SiriusXM, Brake assist, Bumpers: body-color, CD player, Driver door bin, Driver vanity mirror, Dual front impact airbags, Dual front side impact airbags, Front anti-roll bar, Front Bucket Seats, Front wheel independent suspension, MP3 decoder, Occupant sensing airbag, Outside temperature display, Overhead airbag, Passenger door bin, Passenger vanity mirror, Power door mirrors, Power steering, Radio: AM/FM/CD MP3 Audio System, Rear window defroster, Speed-sensing steering, Split folding rear seat, Steering wheel mounted audio controls, Tachometer, Tilt steering wheel, Trip computer, Variably intermittent wipers, and Woven Cloth Seat Trim. CVT with Xtronic, charcoal Cloth. Clean CARFAX.You are the reason we are here and have been for 62 years! We have a HUGE selection of inventory and Customer Service is top priority.... Bad credit or bad luck we are here to help. We speak your language Spanish, Vietnamese, Arabic, Bangladesh, Urdu including Chinese! Easy to access right off 183 and 121 minutes away from anywhere in DFW! Call or come by and find out why we are the fastest growing Nissan store in the Metroplex today!Super Black 2016 Nissan Sentra S FWD CVT with Xtronic 1.8L 4-Cylinder DOHC 16V 29/38 City/Highway MPG CARFAX One-Owner.We will give you a Service Report of what we did to ANY used vehicle for your peace of mind! Grubbs Nissan in Bedford Texas serving Dallas, Arlington, Fort Worth, Grapevine and Colleyville TX. Since opening our doors, Grubbs Pre-Owned offers a wide selection of New, Used and Certified vehicles, and hope to make the car buying process as quick and hassle free as possible. If you would like Competitive financing options and you are in the market to purchase a new Nissan or used car, truck or SUV we will provide assistance to help you find financing options that fits your needs! Whether or not you have bad credit, no credit, or are a first time car buyer we are here for you! www.grubbsnissan.com. You are the reason we are here and have been for 62 years! We have a HUGE selection of inventory and Customer Service is top priority.... Bad credit or bad luck we are here to help. We speak your language Spanish, Vietnamese, Arabic, Bangladesh, Urdu including Chinese! Easy to access right off 183 and 121 minutes away from anywhere in DFW! Call or come by and find out why we are the fastest growing Nissan store in the Metroplex today!Tungsten Metallic 2015 Chevrolet Cruze 1LT 1LT FWD 6-Speed Automatic Electronic with Overdrive ECOTEC 1.4L I4 SMPI DOHC Turbocharged VVT 26/38 City/Highway MPG CARFAX One-Owner.We will give you a Service Report of what we did to ANY used vehicle for your peace of mind! Grubbs Nissan in Bedford Texas serving Dallas, Arlington, Fort Worth, Grapevine and Colleyville TX. Since opening our doors, Grubbs Pre-Owned offers a wide selection of New, Used and Certified vehicles, and hope to make the car buying process as quick and hassle free as possible. If you would like Competitive financing options and you are in the market to purchase a new Nissan or used car, truck or SUV we will provide assistance to help you find financing options that fits your needs! Whether or not you have bad credit, no credit, or are a first time car buyer we are here for you! www.grubbsnissan.com. Clean CARFAX.You are the reason we are here and have been for 62 years! We have a HUGE selection of inventory and Customer Service is top priority.... Bad credit or bad luck we are here to help. We speak your language Spanish, Vietnamese, Arabic, Bangladesh, Urdu including Chinese! Easy to access right off 183 and 121 minutes away from anywhere in DFW! Call or come by and find out why we are the fastest growing Nissan store in the Metroplex today!Graphite Blue 2017 Nissan Versa 1.6 S FWD 5-Speed Manual 1.6L I4 DOHC 16V 27/36 City/Highway MPGWe will give you a Service Report of what we did to ANY used vehicle for your peace of mind! Grubbs Nissan in Bedford Texas serving Dallas, Arlington, Fort Worth, Grapevine and Colleyville TX. Since opening our doors, Grubbs Pre-Owned offers a wide selection of New, Used and Certified vehicles, and hope to make the car buying process as quick and hassle free as possible. If you would like Competitive financing options and you are in the market to purchase a new Nissan or used car, truck or SUV we will provide assistance to help you find financing options that fits your needs! Whether or not you have bad credit, no credit, or are a first time car buyer we are here for you! www.grubbsnissan.com.